MS084R43CNC+MS655EXT is a replacement for Yaskawa Monochrome CRT monitor. It comes with a wire adapter, so you can plug into your existing signal connector to MS084R43CNC+MS655EXT. MS084R43CNC+MS655EXT had upgraded to our UB54 sunlight readable LED kit. It will last 10 times longer than CCFL backlight. Easy to install, anyone can do it! 1 year warranty. Are you tired of constantly replacing CCFL backlight lamp again, again and again? When the situation has no time for downtime. 2711-NL7 and 2711NL9 are original equipped with dual CCFL lamps. To extend 27 theirs life and improving its performance, upgrading to our LED kit seems to be the best option. 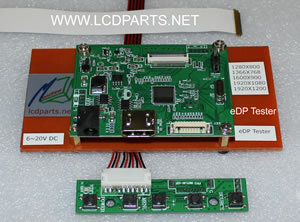 It is easy to install, no soldering require, anyone can do it! Custom build for testing 4 wires, 5 wires and 8 wires resistive touch screens. 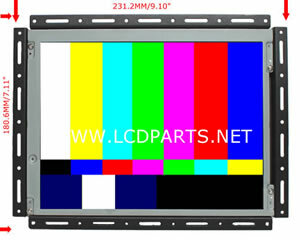 These super bright LED upgrade kits are custom design for industrial LCD screen that are originally equipped with its manufactures LED strip or CCFL lamps mounted on one side. 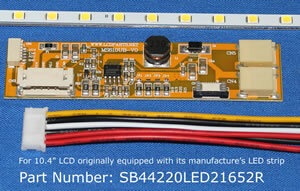 By simply swap out with these LSR series LED kits, now you have sunlight readable LCD monitor. It will last 10X longer then CCFL lamp. 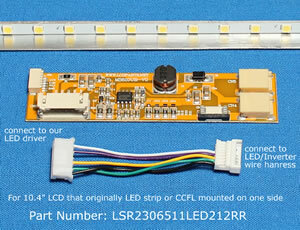 LSR series LED upgrade kits come with one LED strip, one L shape Aluminum Reflector and one LED driver. It is easy to install! Anyone can do it! 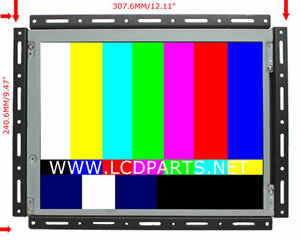 MS121R43CNCHAAS is our newest replacement for old HAAS 12 inch monochrome CRT monitor. It comes with a same signal connector that you can plug in to Haas video card. MS121R43CNCHAAS had upgraded to our UB54 sunlight readable LED kit and it will last 10 times longer than CCFL Backlight monitor. Easy to install, anyone can do it! 1 year warranty.